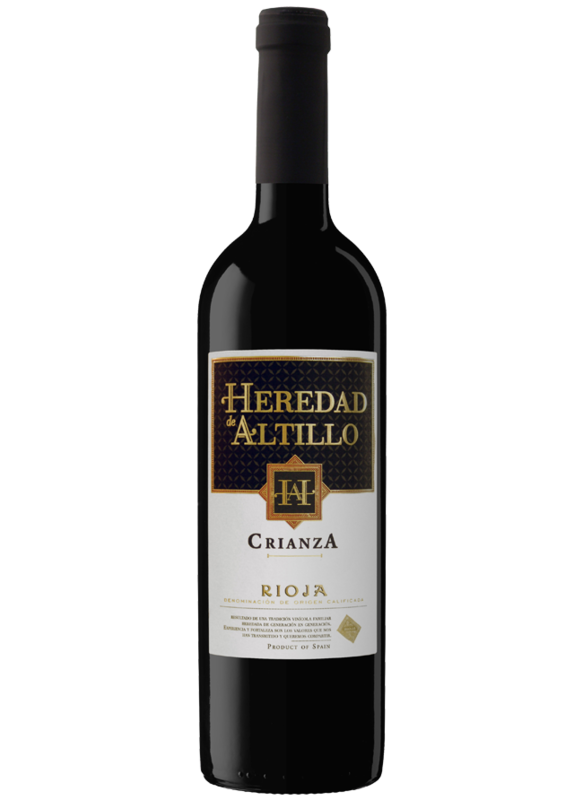 Heredad de Altillo Crianza is made exclusively from Tempranillo. The Tempranillo grapes are carefully handpicked from small production vineyards from vines over 40 years-old. The result is a superb wine with ripe, red fruit aromas and hints of spices. The grapes are carefully selected and handpicked. The fermentation process is undertaken at a controlled temperature (25-28 ºC) for 10-12 days before they are put through a maceration process (5-10 days). This ensures that the wine acquires its characteristic colour. Finally the wine is aged for 12 months in new American oak barrels, with further time to mature in bottle.